After work I debited to run 8 miles to make up for only running the 10K race on Saturday. When I got to the 4.5 mile I could see in the distance the road that connects Imperial Beach to Coronado Island. We call this road the strand to I decided that I would run to the strand. Once at the strand I ran back to my house on the main road. 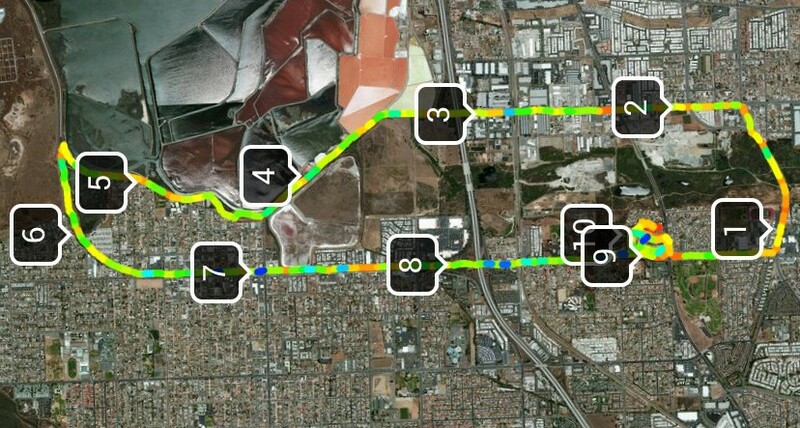 The run ended up being 10.20 miles/16.4Km I did it in 1:50:14 with an Avg Pace of 10:48/mile. Not the best times but it was 10 miles and with hills so it was acceptable. Now that I have a 10 mile route I can work on bring my times up. It’s not the most common race distance, but I do love 10 mile runs.